Between 2009 and 2018, ten thousand persons were interviewed in the USA on behalf of UEBT about their awareness of biodiversity, their expectations on brands' respect for people and biodiversity, and their purchasing decisions. This page shows the answers of American respondents in the UEBT consumer surveys ran in 2018. Street videos shooted in 2016, illustrate the survey outcomes, offering a unique and fun opportunity to view the evolution of the results. 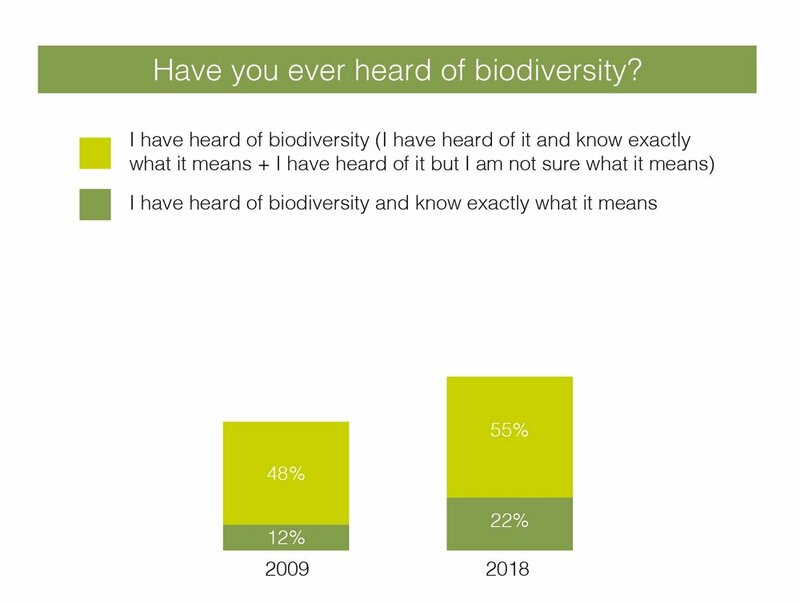 55% of American respondents have heard of biodiversity in 2018, up from 48% in 2009, but down from 63% in 2017. 25% is able to define biodiversity correctly. It is up from 12% in 2009, meaning the understanding of biodiversity rose alongside the awareness on the subject. Americans consumers strongly feel that nature protection is an obligation of humans and that we need to leave next generations with the same opportunity. They find biodiversity conservation important for their well-being but seem less involved on a personal level as fewer respondents believe it is important that they personally contribute and even fewer of them feel it will affect them personally if biodiversity disappears. 81% of Americans interviewed in the survey think companies have a moral obligation to make sure they have a positive impact on society, people and biodiversity. 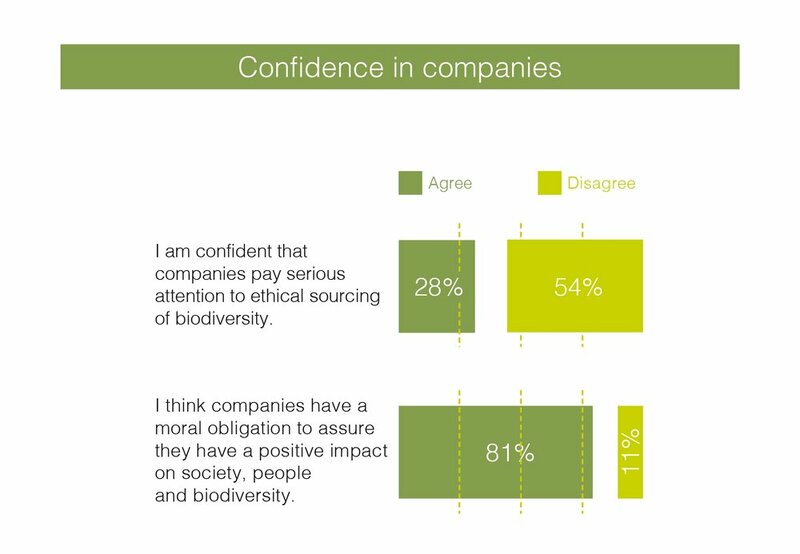 However, few of them (28%) actually believe companies pay serious attention to ethical sourcing of biodiversity. American consumers' confidence in companies has decreased since last year (-5pts) showing they definitely need to be reassured on companies involvement towards biodiversity. According to the survey results, the best way to restore their trust is by providing them with information on companies concrete actions (73% agree) and having an independent organization verifying the companies commitments to ethical sourcing (73% agree). 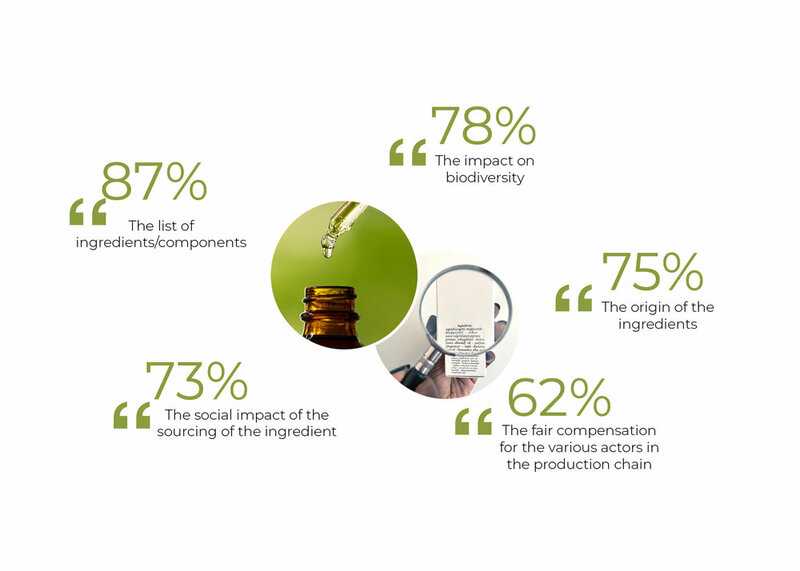 American consumers are attentive to any type of information on the packaging of a product Particularly important for them is the mention of the list the ingredients that stands out in their choice followed by the impact the product they purchase has on biodiversity. However, when shopping, they less take into account social impacts related to sourcing activities e.g. working conditions, fair wages in the production chain. 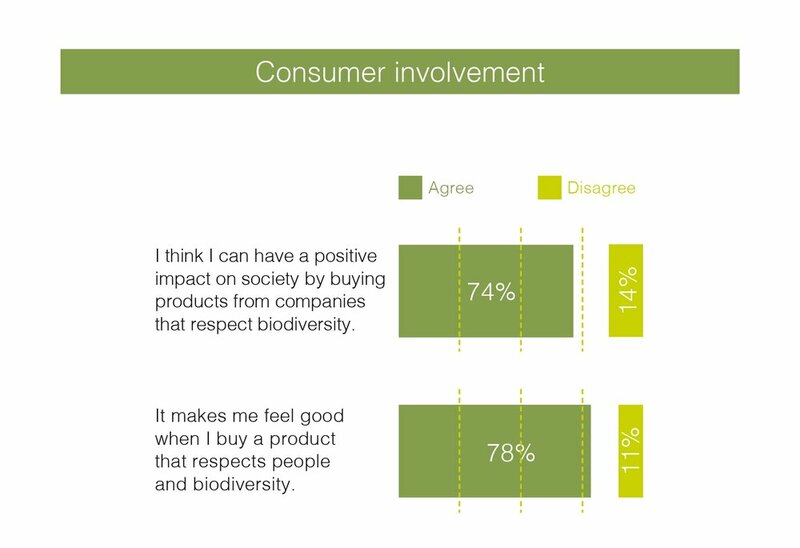 Companies involvement in respecting biodiversity and people is a driver of purchase as most consumers surveyed in the USA (74%) believe that they can positively impact society by buying products from companies that respect biodiversity and people. They feel active citizens. Also, 78% feel good when buying such a product. However, only 50% of respondents buy products from company that they know pay attention to biodiversity, thus allowing a great potential of growth for companies respecting biodiversity and people. Street interviews 2016 - Question: Would you be more interested in buying a product if you new the company pays attention to the ethical sourcing of biodiversity? In 2018, when asked about brands that respect biodiversity only 56% of respondents could at least cite one. The brands below were referred to most often. 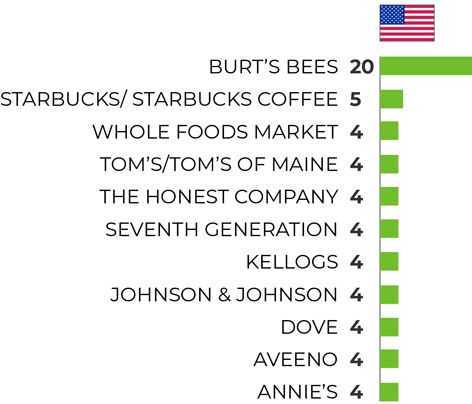 Burt's Bees is largely leading the ranking showing the brand is known in the USA for taking actions in favour of biodiversity. In 2016, none of the people interviewed in the streets could name a cosmetics, food or pharmaceutical brand that respects biodiversity, thus confirming how people struggled to connect brands with respect for biodiversity. When asked where they got their information from, people responded Internet (social media) and word of mouth. Street interviews 2016 - Question: Do you know any cosmetics, food or pharmaceutical brands that respects biodiversity? Street interviews 2016 - Question: How have you hear about these brands?